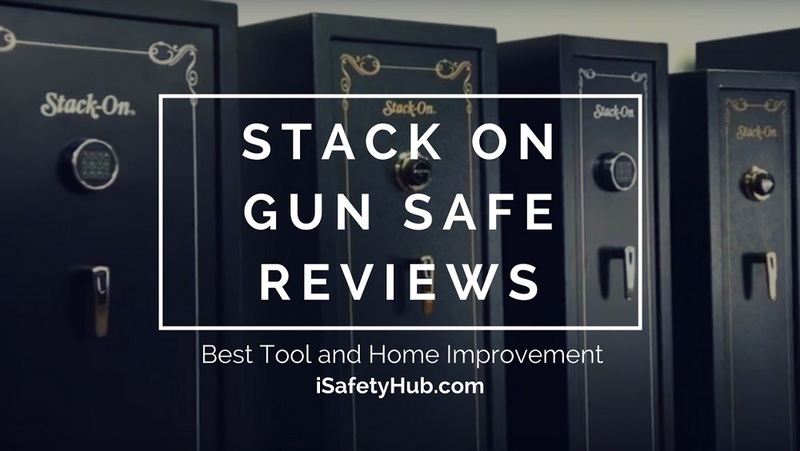 Stack on Gun Safe Review: Are Stack on Gun Safes secure? 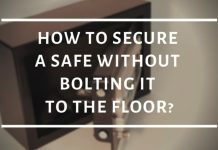 How to Secure a Safe Without Bolting it to the Floor? You did everything you could to protect your family – and your business – in case of a fire. You had the smoke alarms installed, and you have an emergency exit carefully planned out so that everyone makes it out safe and sound. What about all the documents, data, and other valuables that are left behind, though? 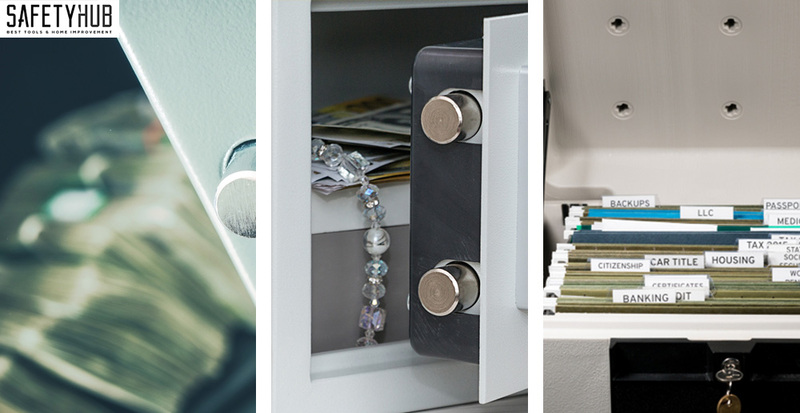 Protecting paperwork and valuable items is essential, too, so let me help you one of the best fireproof safes for documents – both for your home, and your office! 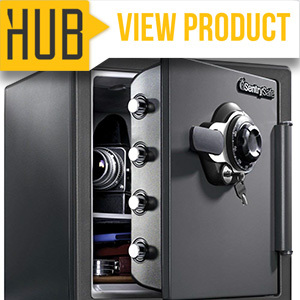 What do I plan on storing in my fireproof safe? Laugh at the obviousness of this one all you want, but if you think about it, you are buying a fireproof safe because it’s precisely that – fireproof. A fireproof safe is still a safe, which means it will protect your valuables not just against the flames, but against burglary, too. 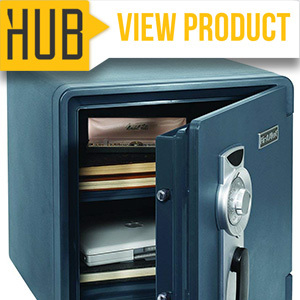 If you’re running a business, you’ll appreciate this extra security the best fireproof safes for office can provide. 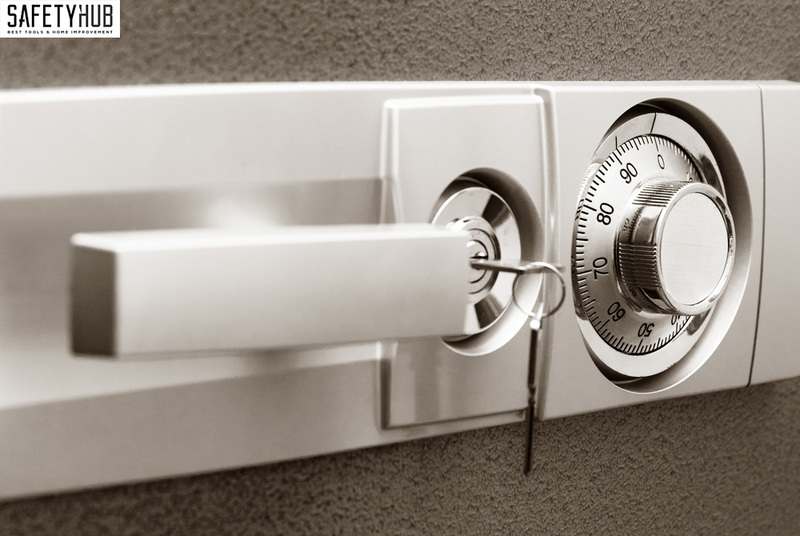 The simple act of lowering the risk of accidental material losses (such as cases of burglaries and house fires) by buying the best fireproof safe for documents could help reduce your insurance rates. 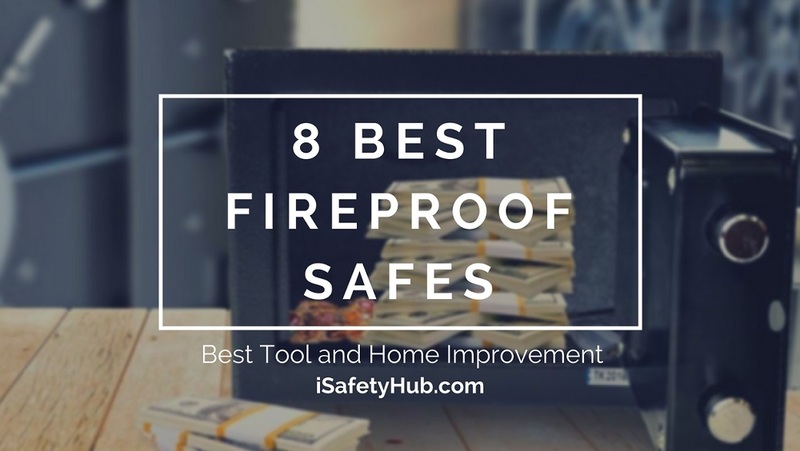 So, even if buying a fireproof safe seems like a significant investment right now, it will save you money in the long run. Just like any other safe, a fireproof one will provide limited access to your valuables – you’re the one with the right key code combination, which means you decide who gets to access these things, and who doesn’t. 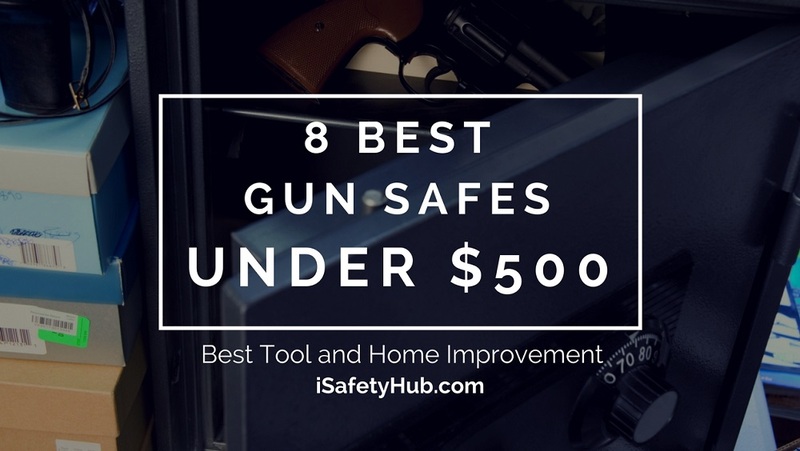 That’s particularly important if you plan on keeping a firearm in your safe, too. The mere fact that you have all your most valuable stuff stored away in a fireproof safe could give you a sense of control and peace of mind whenever you leave your home, especially for more extended periods, such as vacations and business trips. Insurance Policies – If disaster strikes, you’ll be glad you had all your insurance policy information stored away in a fireproof safe. Passports And Other Identification Documents – Replacing a passport or other identification documents (such as a birth certificate, or a social security card) is a long process, which is why it’s a good idea to keep them locked in a fireproof safe at home. Financial Documents – If you choose to keep your financial documents at home, it’s best to have them safely stored in a fireproof safe. That said, have a digital copy saved up, just in case. Safety Deposit Box Keys – You don’t access your safety deposit box every day, so carrying the key around with you at all times doesn’t make much sense, does it? Cash And Valuables – If you plan on keeping expensive jewelry, cash, and other valuables at home, and not in a bank’s safety deposit box, it’s best that you do so in a fireproof safe. 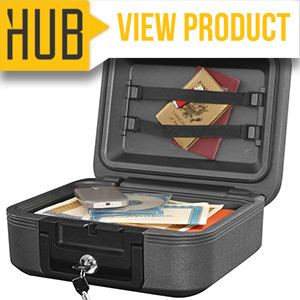 Hard Drives – Prints will go up in smoke, but with a fireproof safe, you can ensure that the same doesn’t happen to the digital versions of your family memories stored on your hard drive. The same holds true for businesses – the best fireproof safes for office could help save all your company data. You’re here to buy one of the best fireproof safes for documents, so let’s get down to business – it’s time to discuss fire ratings. It all comes down to how long the safe will be able to resist fire, and how much time it gives you to extinguish the flames and retrieve your valuables unharmed. That said, if it doesn’t meet the 30-minute threshold, look elsewhere. 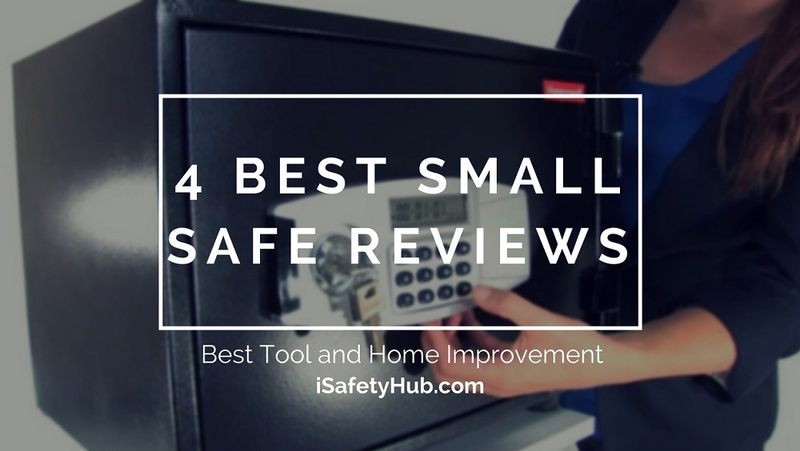 Another thing you should consider is the safe’s heat resistance. Sure, you might know it can withstand fire for up to an hour, but what temperatures are we talking about here? That’s what heat (or temperature) resistance is there to tell you. Of course, the higher, the better – paper ignites at the 424-degree Fahrenheit mark, so the lower the temperature inside the safe, the safer your documents are! Don’t get so caught up in fire ratings and waterproof seal that you forget to take the overall security level into account. What good is a safe if anyone can pry it open at first attempt? On that note, pay attention to the lock (mechanical ones might be a better choice for fireproof safes since there’s less chance of failure due to heat exposure), and the safe’s construction – if it feels flimsy, it’s probably not the best choice safety-wise. 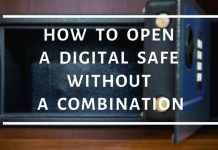 Whether you’re buying a safe for personal use, or you’re looking for the best fireproof safes for office, size and capacity are two factors you should never overlook. 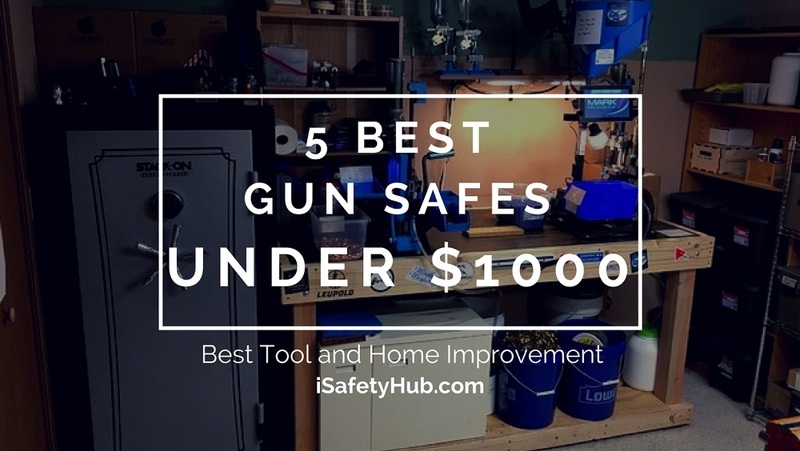 First off, there’s the issue of where you plan on keeping the safe. You have to make sure it’ll fit the space you have reserved for it, so measure twice, buy once. Furthermore, you have to take its capacity into account, as well. Take a moment to consider what you plan on storing in the safe (I hope my list of suggestions helps you out), and buy accordingly. It looks all tough and well-built even at first glance, doesn’t it? 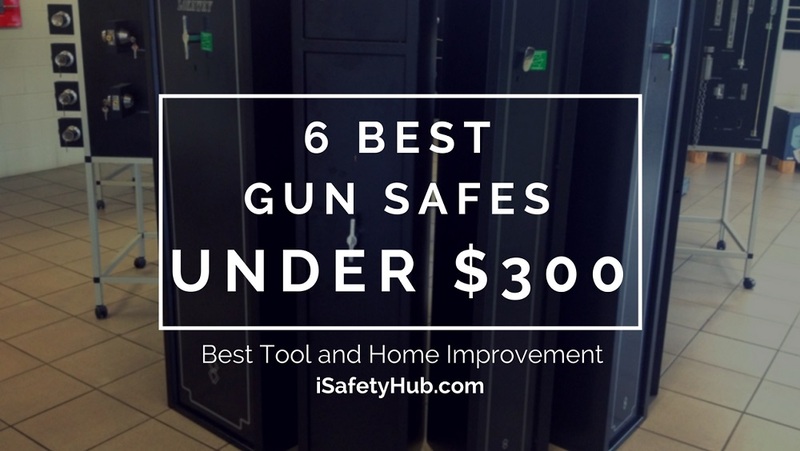 It’s what most people – including me – have in mind when they think of a safe. And it doesn’t just look the part – it comes with excellent safety features, too. 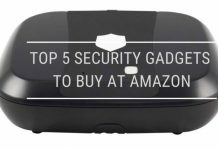 Thanks to the four live-locking bolts, and a pry-resistant hinge, there’s little to no chance anyone besides you will gain access to your stuff. Furthermore, the advanced fire protection – we’re talking an hour at 1700 degrees Fahrenheit here – will protect your valuables in case of office (or home) fires. Floods won’t be an issue, either – the waterproof seal will hold for up to 24 hours. 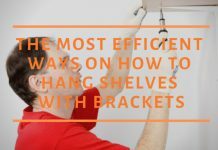 You’ll also appreciate the fact that the manufacturer offers an after-fire replacement guarantee. If a disaster hits, they’ll have your back, which is fantastic! What’s up with all the plastic parts, though? 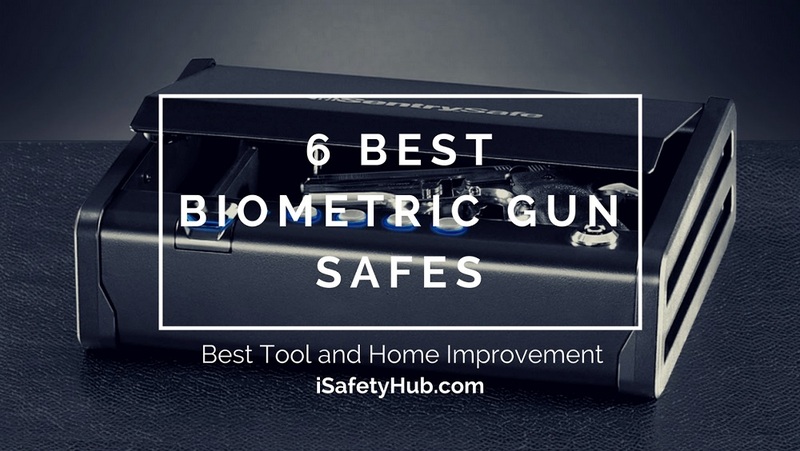 The handle, the combination dial, as well as the multi-position shelf, are plastic, and they don’t feel very sturdy to me, which can be an issue with safes – especially those that are fireproof. No matter how high-quality the plastic may be, it’s still just that – plastic. If you’re looking for something compact for storing documents, as well as media items, the HONEYWELL one could be perfect for the job. It might be small, but don’t let that fool you – this one packs a punch! 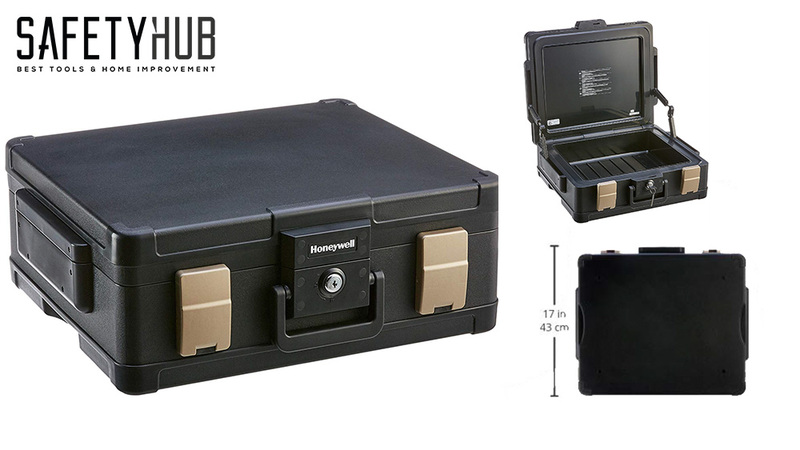 The HONEYWELL is impressive in that aspect – it may look like a briefcase, but it acts as a sturdy little safe. Your valuables will stay protected from fire for up to an hour, even at temperatures of 1700 degrees Fahrenheit, and in case of a flood, the seal should hold for up to a 100 hours – and that’s at 39 inches under water! The handle is a bit too flimsy for my taste, though. I appreciate the effort, but I’m not sure it would survive all that weight – the safe weighs a little over 50 pounds, after all. The fact that the safe utilizes a simple key lock bothers me, too. Given the fact that it’s the only thing that’s keeping thieves from getting to your stuff, it better be the best key lock that ever was. Otherwise, it’s an easy target for anyone who knows how to pick a lock. If this isn’t your first time browsing the market for the best fireproof safes for office, you’ve probably heard of First Alert, right? 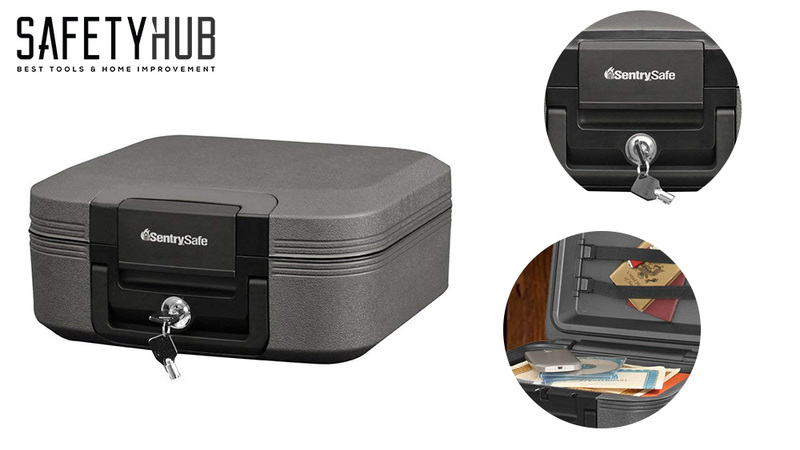 The fire-resistant design will prevent your valuable documents from going up in flames by maintaining the safe’s internal temperature at a safe 350-degree point for up to an hour, even as the surrounding temperatures reach 1700 degrees Fahrenheit. On top of that, it’ll keep your things dry during a flood, too. Is there anything this safe can’t do? 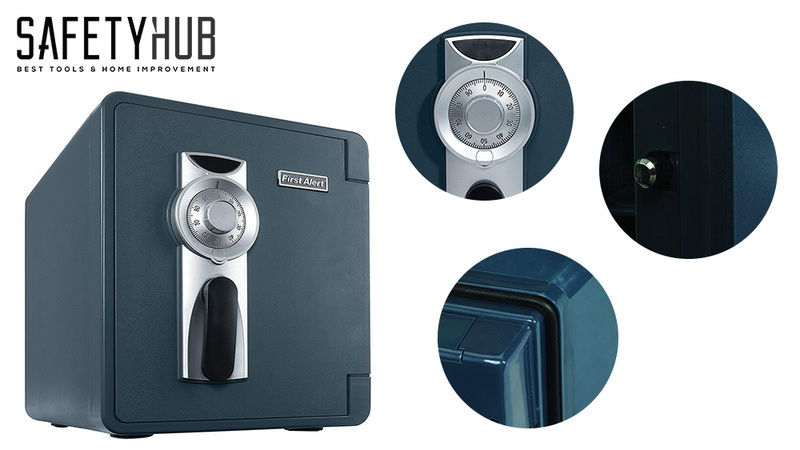 Security is not an issue, either, since the safe features four live-locking bolts, concealed pry-proof hinges, and a combination lock. Furthermore, you can anchor it down to the floor for some extra peace of mind, too – without compromising its fire and water resistance. The safe’s interior tends to get damp, but you can easily prevent that if you throw a few silica gel packs inside. Plus, it’s recommended to air the safe out every two weeks or so – it should help solve the whole dampness issue. What bugs me about this one is the fact that the lock combination comes preset, and there’s no way to change it. According to the UL class 350 one-hour fire rating, the safe should be able to hold up for up to an hour with the blazing temperature of flames reaching the 1700-degree mark – without allowing the internal temperature to go above 350 degrees Fahrenheit. Moreover, the safe remains waterproof for up to two hours in case of floods. All in all, it should be more than enough to keep your paper documents, external hard drives, and other valuable stuff protected from both fire, and water damage. It does have a pretty basic key lock, though, so I can’t say the same in case of burglary. The biggest issue of all was the fact that the inside of the safe tends to get damp due to moisture build-up, which could prove to be fatal for your documents. That’s why I suggest throwing in a few packs of silica gel, just in case. 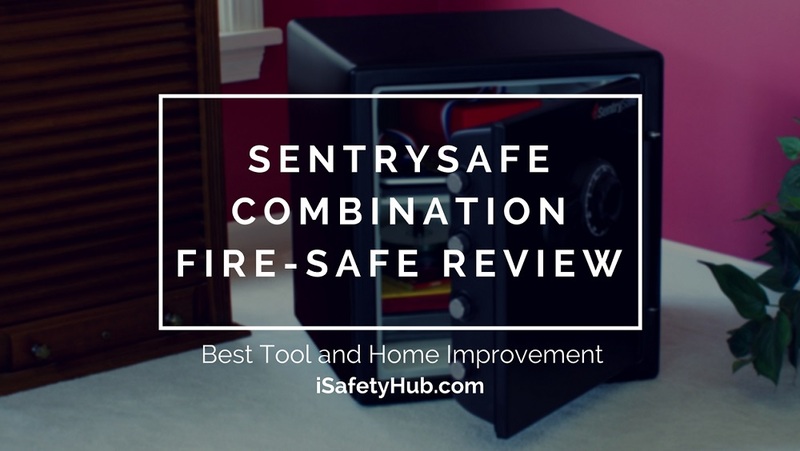 It looks like we made a full circle here – I started my reviews off with a SentrySafe model, and here we are discussing another, slightly smaller one. Now, the fact that it’s small isn’t necessarily a bad thing. 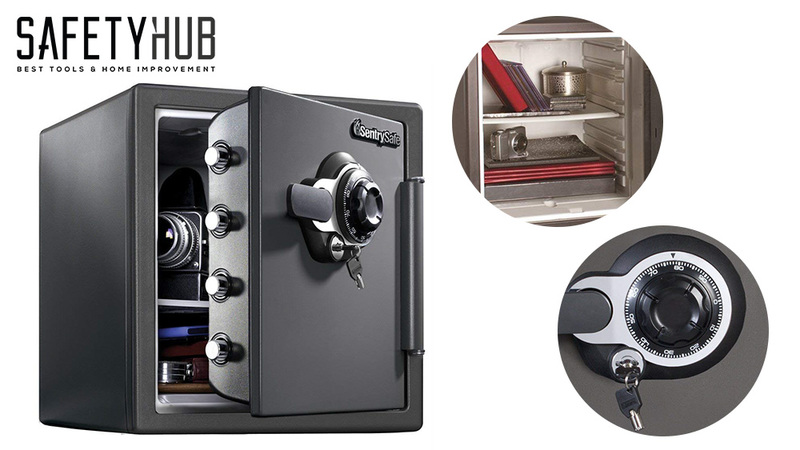 Not everybody needs an extra-large safe for valuables – sometimes 0.28 cubic feet is more than enough to fit all your important papers, digital media, as well as other valuables. Plus, it’s super easy to hide due to its compact size. 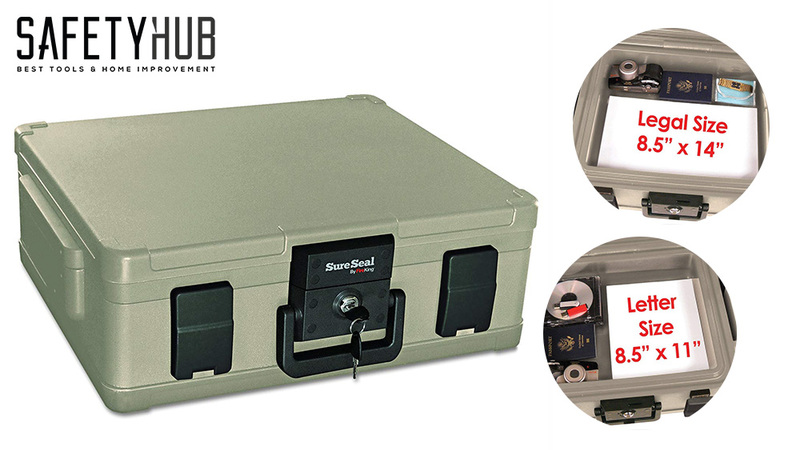 The safe is fire-resistant, meaning it will hold up for up to half an hour at 1550-degrees Fahrenheit temperature, which is enough to keep your paperwork, valuables, and digital media protected. That gives you plenty of time to extinguish the fire and retrieve the safe. 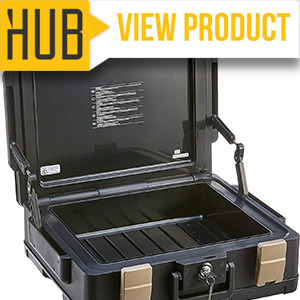 It’ll withstand water submersion, as well, and keep your valuables dry for at least 72 hours. It gets some minus points for the glitchy lock, though. It seems like it gets stuck from time to time, which could be a problem if you’re trying to access important paperwork, for example. I guess the whole “you get what you paid for” rule applies here. Okay, it’s time to announce the winner of this round-up – it’s a tough choice, but someone has to make it, right? Anyway, as far as the best fireproof safes for documents go, the SentrySafe Fire and Water Safe Extra Large Combination Safe takes the cake. 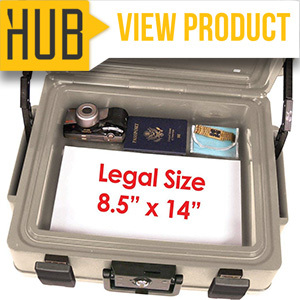 Small businesses that need essential paperwork safely stored away at the end of the day will find this one helpful, too, which is why I dare to declare it one of the best fireproof safes for office, as well. What do you think? Which one of these models would you trust with all your documents? Hello, my name is Lisa Thompson and I’m the Founder of Safety Hub, your go-to resource for all things home improvement. 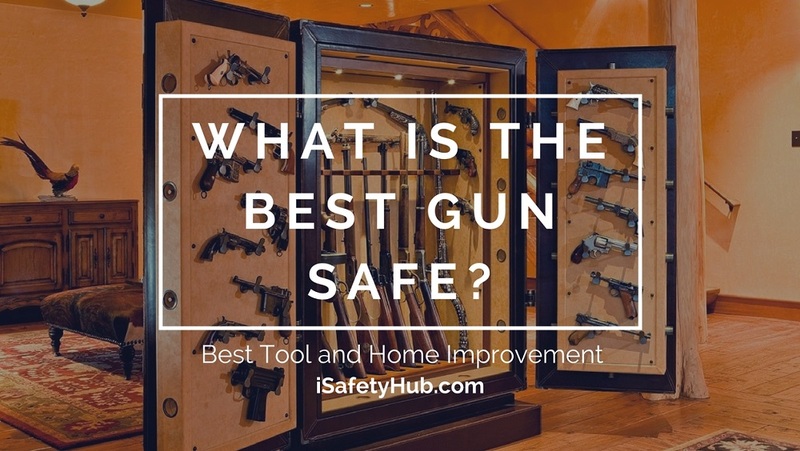 In this day and age, security should be your top priority, and that’s exactly why my dedicated team of writers and I offer reliable information pertaining to gun storage, home safes, and so much more. When I’m not running the blog, I enjoy gardening and homesteading. As an avid nature lover, I also love going on camping trips. Currently, I happily reside in the heart of Los Angeles. I have been looking at the honeywell 1104 and fireking ss104a, both of which are in your review. Are these 2 the same safe in different colors? Same exterior size. Same interior size and capacity. Same weight. Same-looking keyed lock. Same-looking latches. Same-looking hinges. What am I missing? Yes, both have the same quality but difference price. 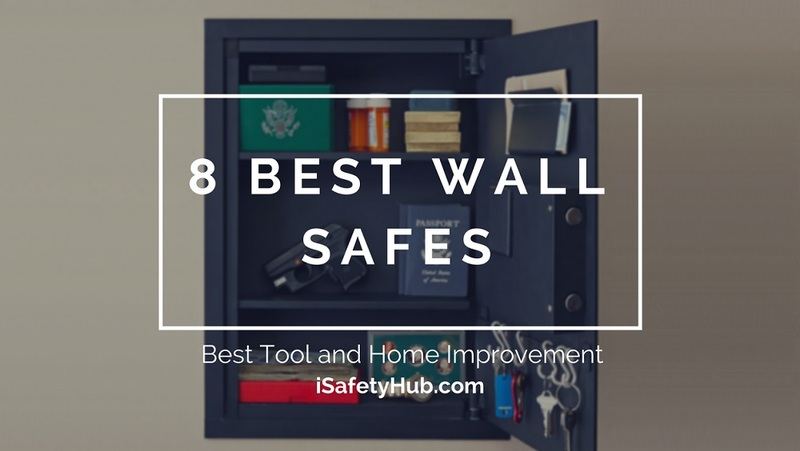 This is such a great and helpful list of fireproof safes! I’ve been searching for the perfect safe for my home since I’ve recently had a fire scare. Better to be safe than sorry! Fire accidents are always disastrous, therefore the need to invest in Fireproof safes can never be overemphasized. 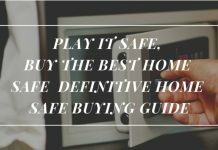 Before now, my eyes have been on the Honeywell Firesafe, maybe that’s because it readily meets my eyes whenever I go shopping, but this posts to several options and tips to make the most suitable choice. Thanks for sharing. 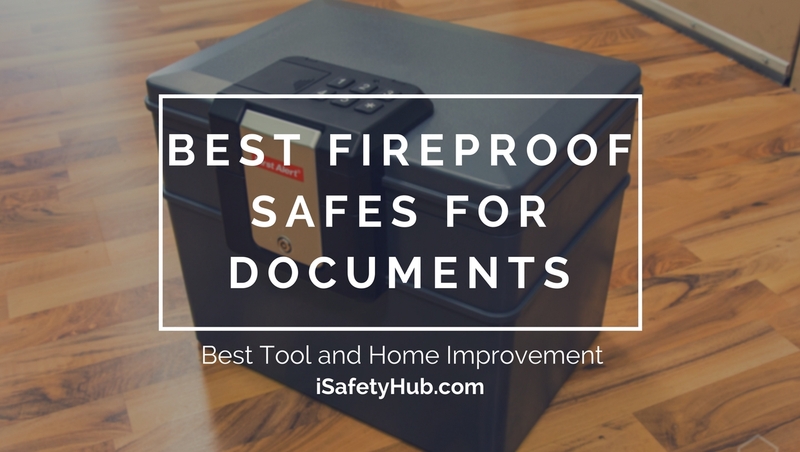 I am looking for both fireproof and waterproof safe for my important document, many thanks for posting. Thanks for the most informative article, I can not forget the day my papers were attacked by termites and I really need to buy a best fireproof document safe to avoid termites. We are safe lovers. As the blog offers grown-up found in recognition and also have commenced producing income running a blog. We always expect genuine customers for our business. We also try to provide best products in our blog to attract the customers.